Hello, Space Unicorns! 2017 was a… complicated year. Though many things were hard and horrible, we are very proud of all of the amazing works we published in Uncanny. Everyone in the Space Unicorn Ranger Corps has been wonderfully supportive, and your enthusiasm has meant so much to us. 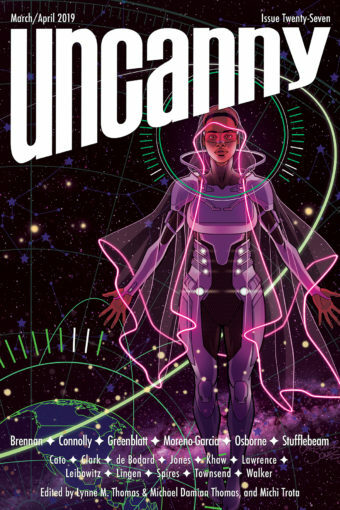 It’s been fantastic to see how much our readers have been enjoying Uncanny’s fiction. And while we have our personal favorites, we’d like to know which stories YOU loved from Uncanny in 2017.